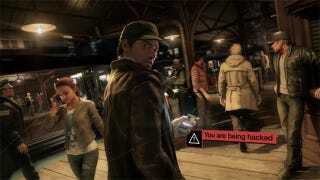 Watch Dogs was supposed to be out last November! Now, it won't be out until May. Allow Ubisoft to explain, at least in Ubisoft's public words, why that is. Senior Producer Dominic Guay sat down with the company's official blog and gave his version of events. Those looking for catastrophic tales of mmismanagement or technical disasters can look elsewhere. Guay puts it all down to the same reason most games get delayed: issues with planning and testing. He says that while the game was for all intents complete on time, playable from "front-to-back", getting everything together and working like it needed to for launch "takes time", and "it's really hard to predict how much time that's going to take." In Watch Dogs' case, it took too long, and they were given the extra six months to get everything in tip-top shape. We hope.